Eurodraw Wire Equipment manufactures various types of wire rod payoff, all specifically designed to payoff in a efficient way different kind of wire rods. 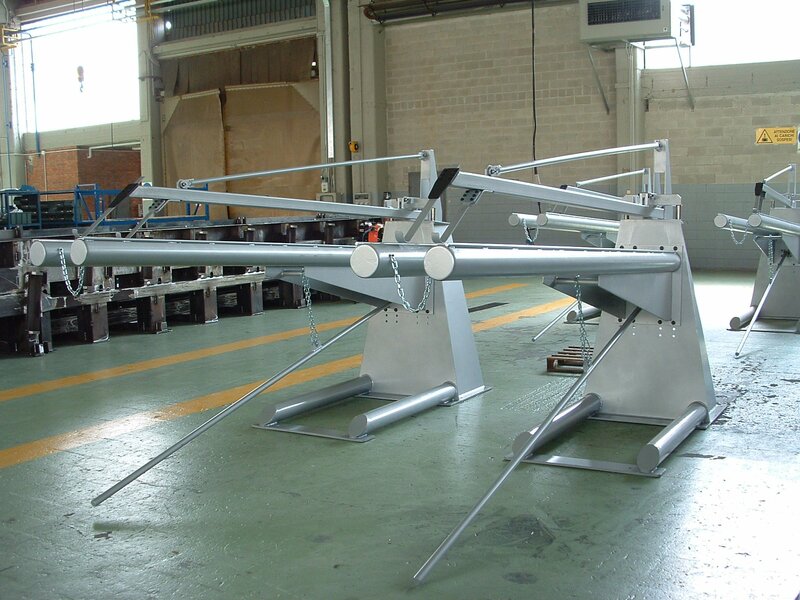 SM 3000 L - horizontal flipper type payoff for larger wire rod sizes. This unit is the most simple payoff and is suited for high carbon wire rod applications. Two payoffs are placed side by side to ensure a continuous payoff. 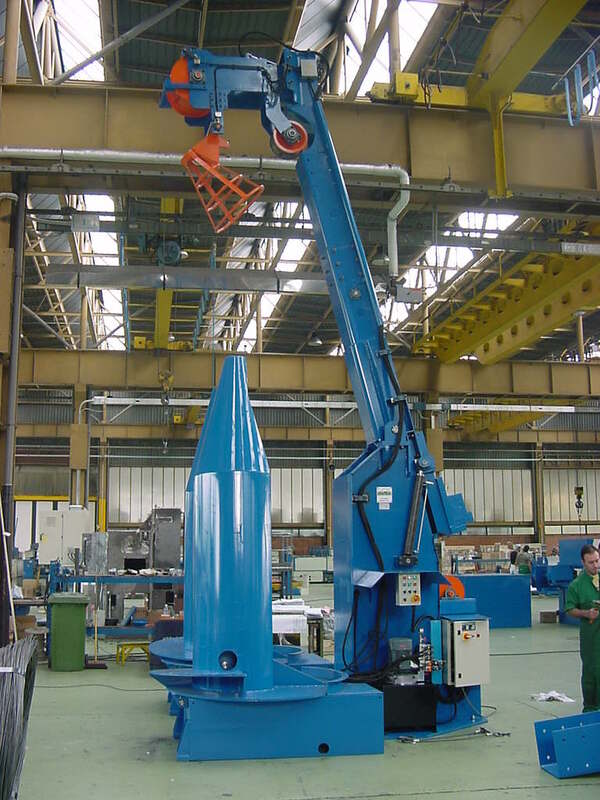 The unit can be loaded with coils up to 3000 Kg. The wire diameter range is from 8,00 mm to 16.00 mm. 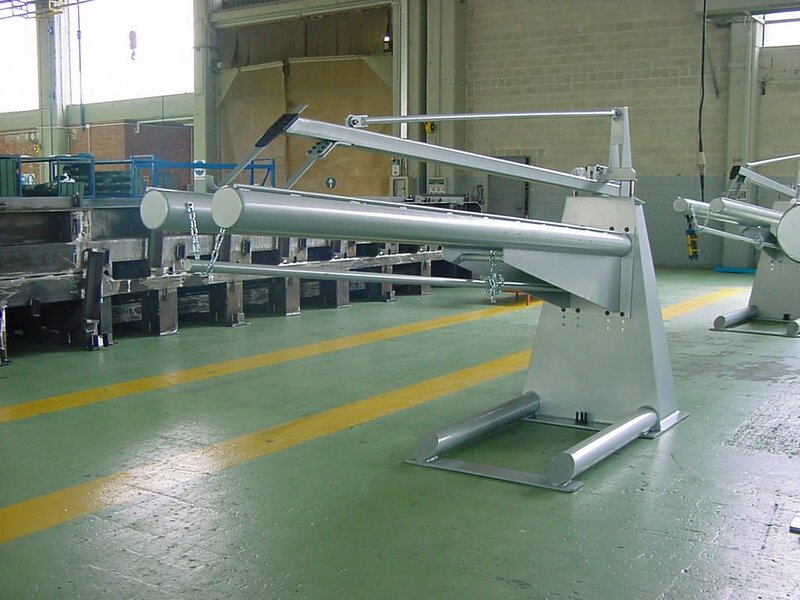 A basket type snarl switch is usually installed between the payoff and the wire drawing machine. RP 6000 FPM - Motorized Flyer type payoff. This unit is composed by a main bean on which are loaded two coils of wire rod. 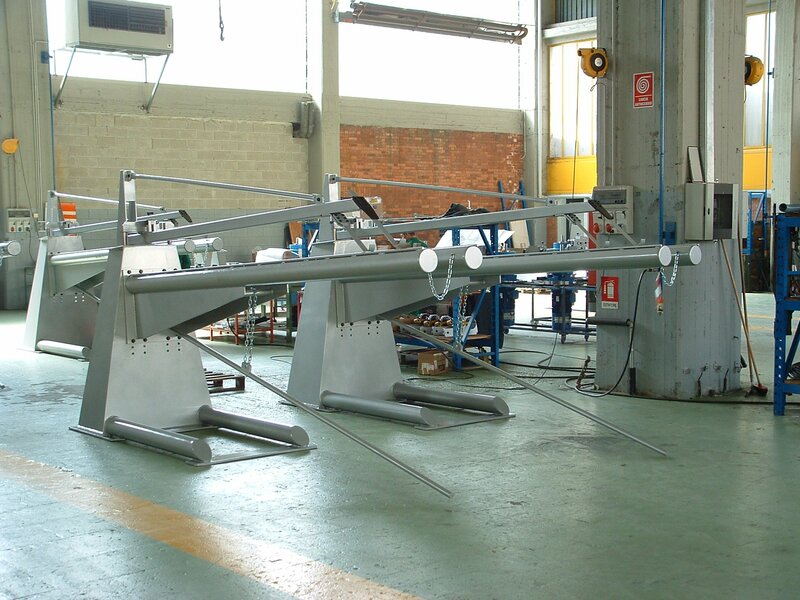 These coils are pushed with a motorized pusher up to the flyer arm that will unwind the wire and direct it into the wire drawing machine. The flyer arm is motorized. This unit ius suited only for high carbon wire from 5,50 to 8.00 mm. 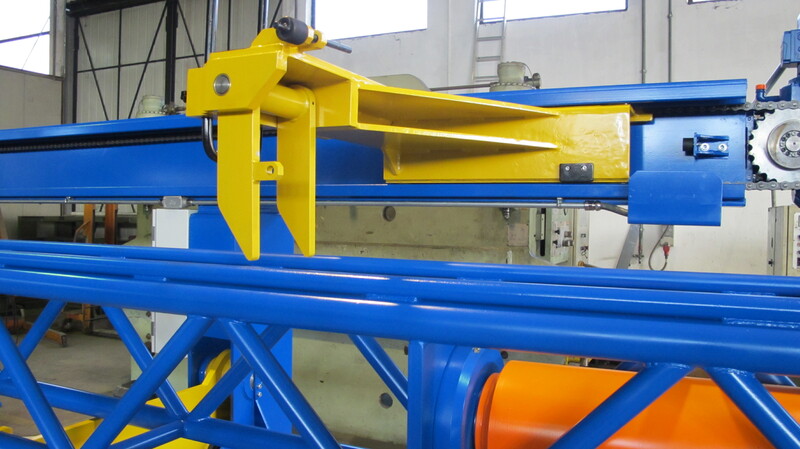 SVD-2 - double vertical axis wire rod payoff, adjustable in height from 6,30 to 7,20 meters. Suitable for wire rod from 5,50 to 10 mm. 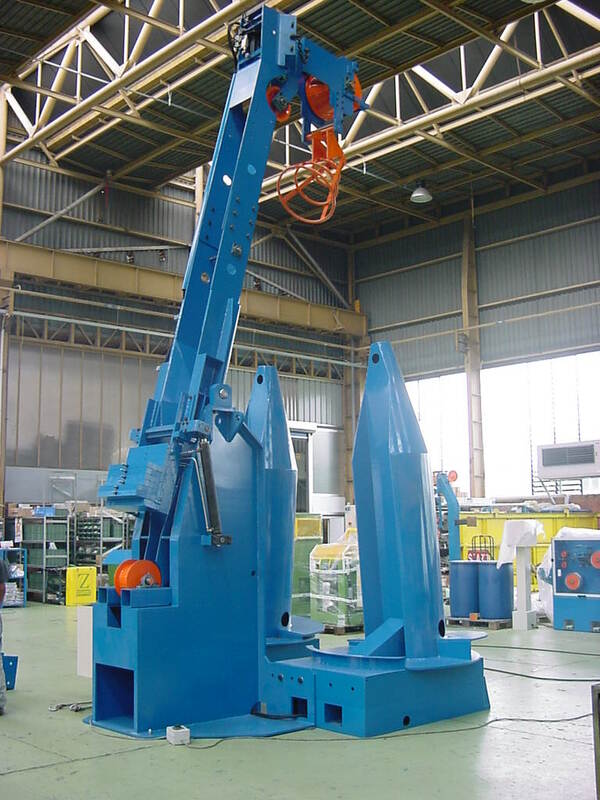 This unit is equipped with hydraulic wire rod stems and also has the possibility to lower the main beam and the upper pulley through a pair of hydraulic cylinders. 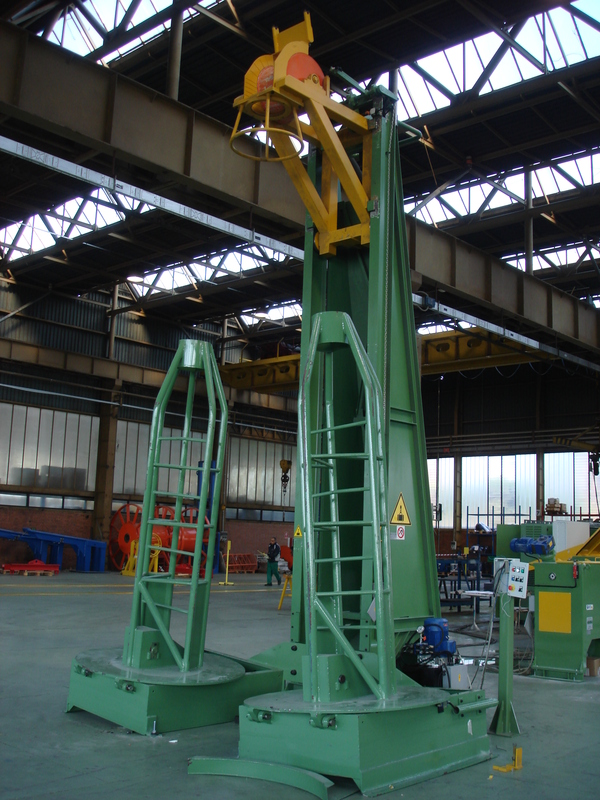 The main beam is shaped in a way that the wire rod scale is contained into the beam itself and collected at the bottom of the unit. SVD-2V - double vertical axis wire rod payoff. Suitable for wire rod from 5,50 to 16 mm. 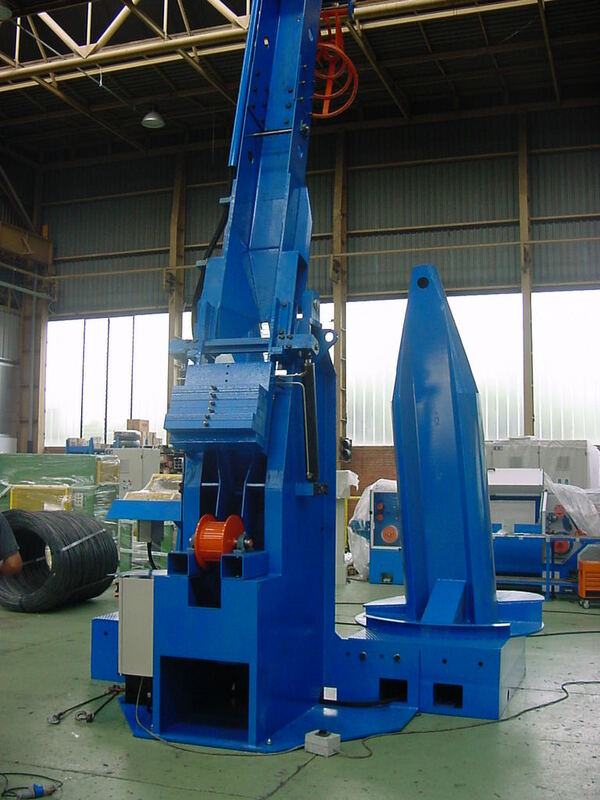 This unit is equipped with hydraulic wire rod stems and also has the possibility to lower the upper pulley through electric winch.